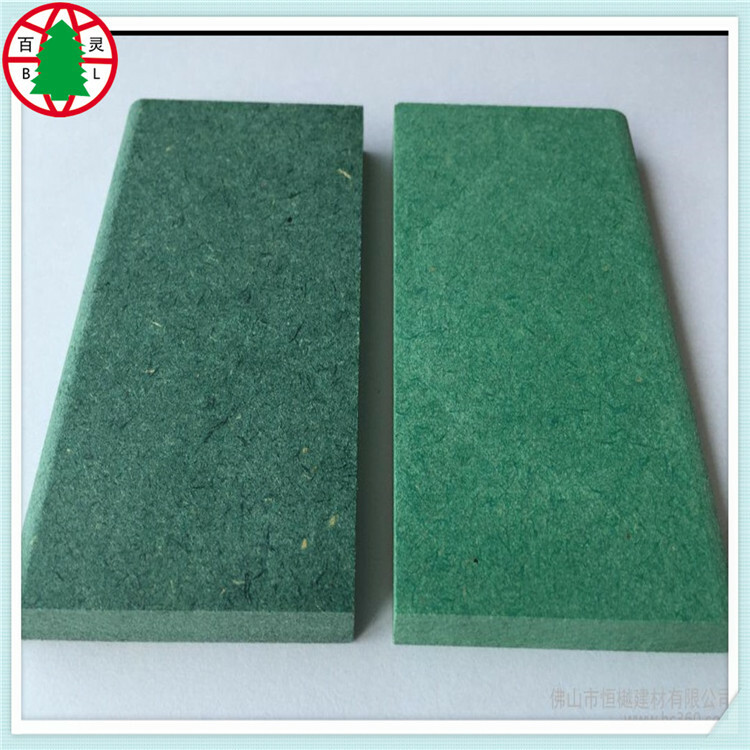 Waterproofing medium-density fiberboard ( MDF ) will protect the MDF board from becoming damaged and deformed when exposed to moisture. 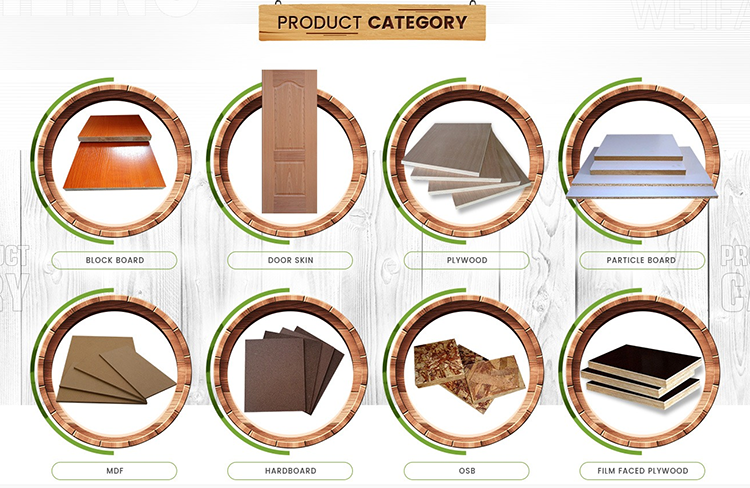 MDF is used as a cheaper alternative to wood in cabinets, furniture, baseboards and door trims. The only way to make the MDF board waterproof is to paint it. Painting the surface of the MDF board will make it resistant to moisture only if you use moisture-resistant paint, as this type of paint creates a more permanent waterproof layer on the MDF. 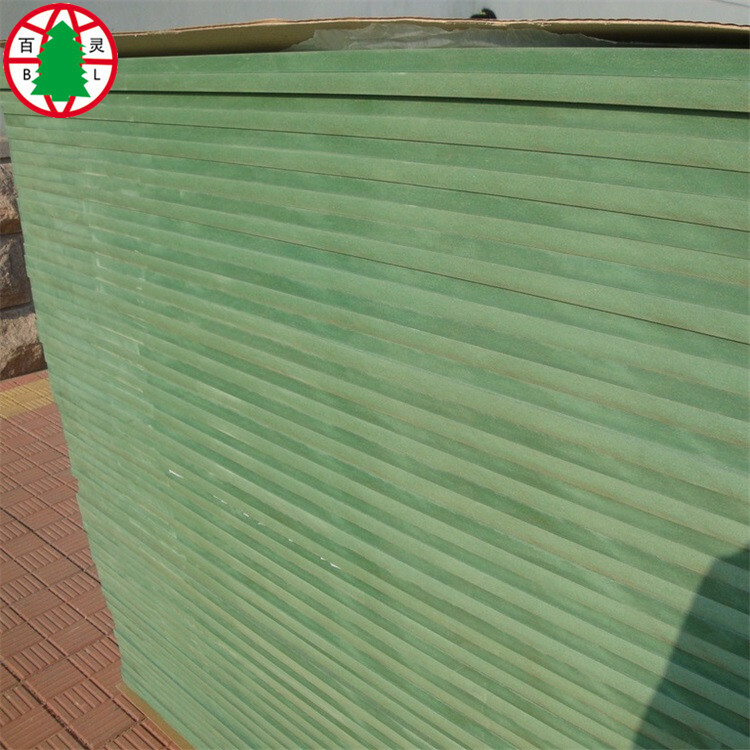 Waterproof MDF moisture proof Green Color MDF we have many stock for customer requirements. 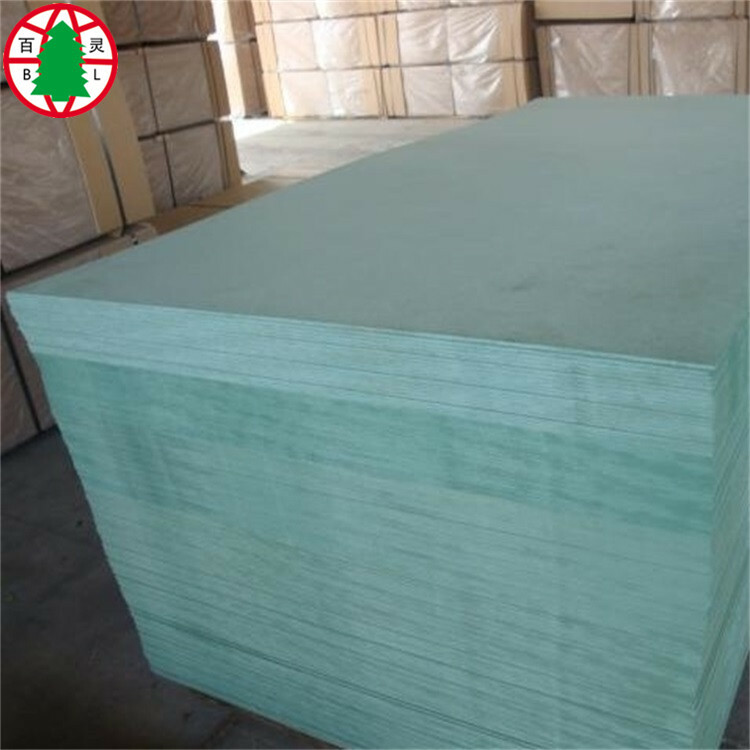 Shouguang Bailing woods, founded in 1998, is a professional manufacturer of various melamine faced board MDF,HMR MDF, green color MDF, waterproof board, moisture proof board HDF, Plywood, Film Faced Plywood, fancy plywood, Particle Board, OSB, Block board, Door Skin etc. The products are sold to all over the world. 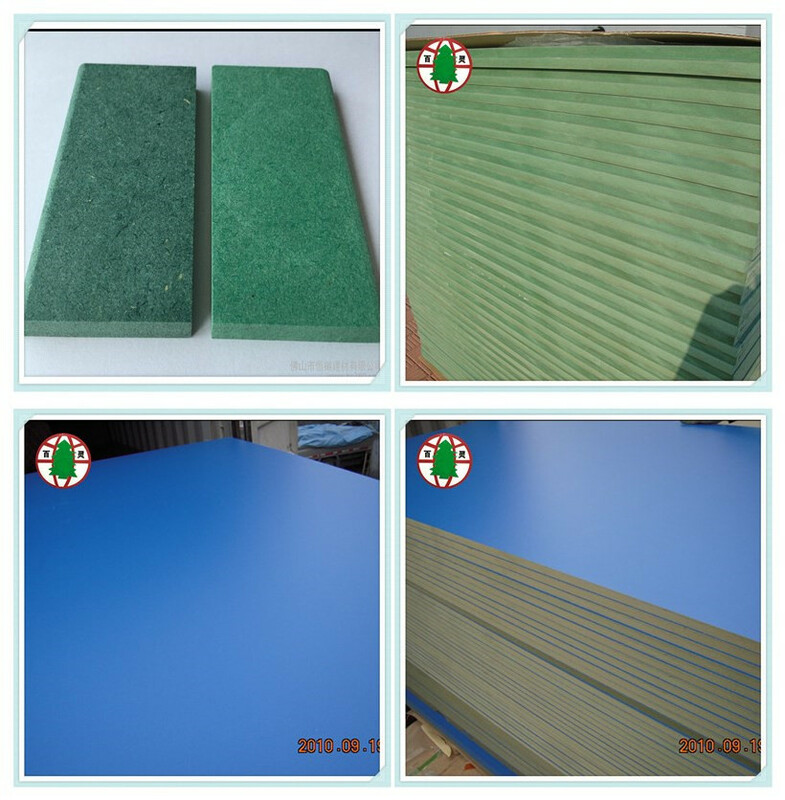 Widely used in construction, packing and furniture field such as door, flooring, decoration, photo frame etc. We have rich experience with more than 20 year and know how to match clients' demand, working with us, you will get High efficent feedback,Great Quality Products, Preofessional service. Welcome to quote with detail, we will reply you at first time. 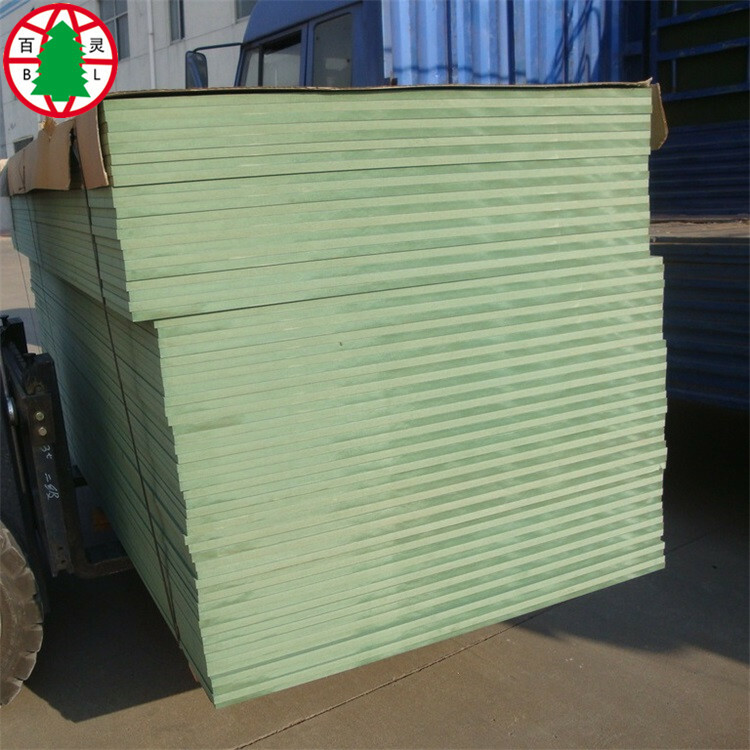 Waterproof MDF, moisture proof, green color MDF, HMR MDF, water proof board. 1, Is an excellent substrate for veneers. 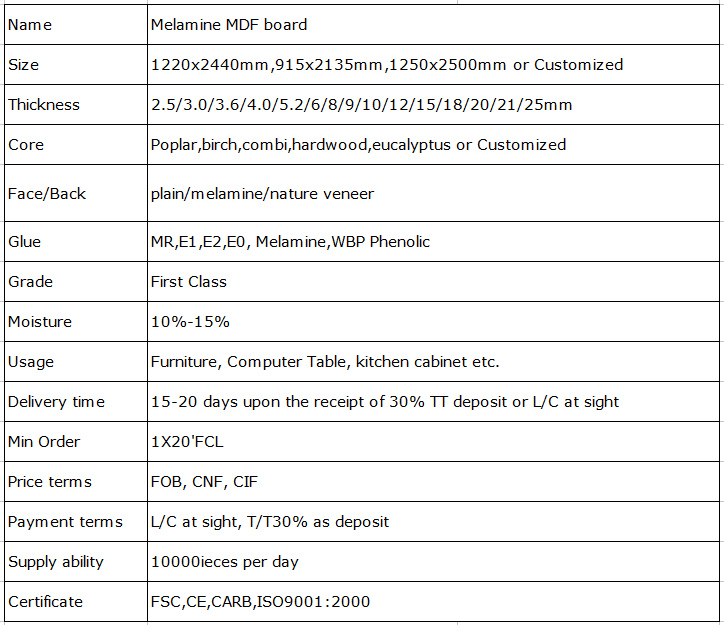 Looking for ideal Water Proof MDF Manufacturer & supplier ? We have a wide selection at great prices to help you get creative. 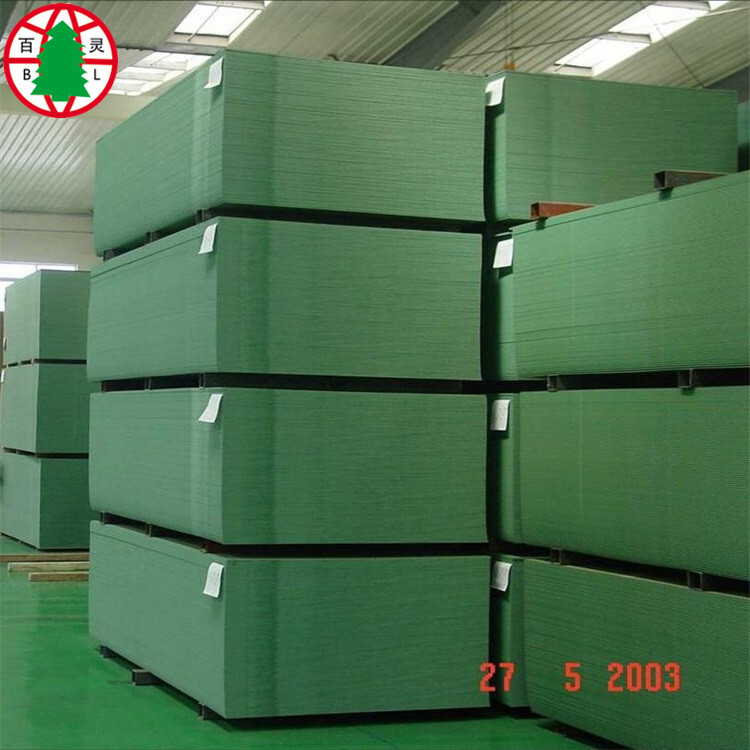 All the Green Color MDF are quality guaranteed. 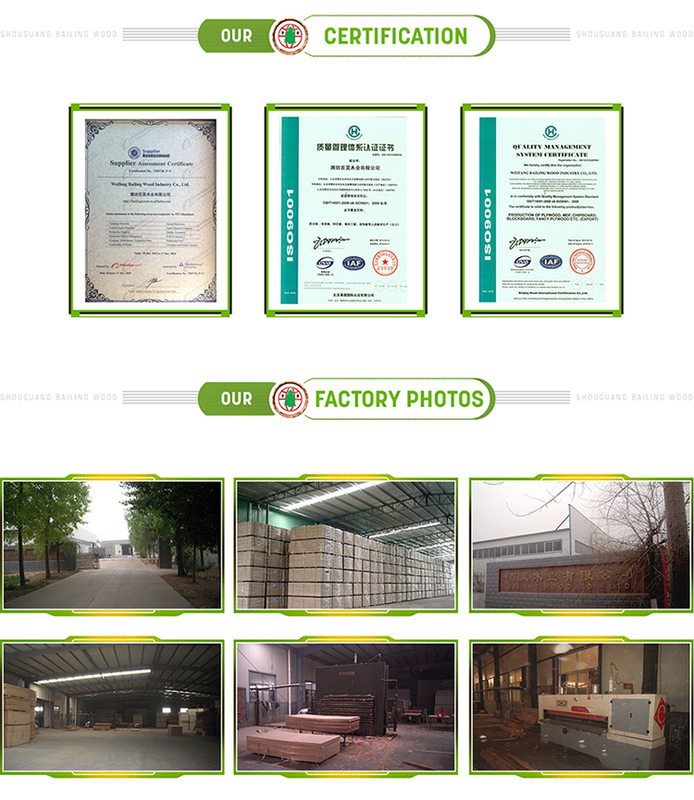 We are China Origin Factory of Water Resistance MDF. If you have any question, please feel free to contact us.